Why use a realtor when you can do it yourself and save money? At the risk of having my tyres slashed or worse, today's Take Five will explore how to sell your own home or buy privately. I've been thinking about this topic for some time but after hearing from a reader last week, who was once sold a house by a realtor who had failed to mention that there had been a mass murder on the premises, I decided it was high time I did. I've also read that a nice garden can boost your end price by 16% but that came from a gardening company selling its wares so read into it what you will. At the same time you are beautifying your home, you should be doing your research. Understand what's involved in a private home sale, how it works, who you'll need to involve and importantly what kind of price you want and can live with. The Citizenship Advice Bureau has some great resources in this regard which you can find here. These are some of the areas and questions it addresses. What are the advantages and disadvantages of selling my house privately? What is a property centre? I’m selling my house myself. What are the steps? I want to include my stove as part of the sale price. Can I do this? How can I get my property valued? How do I decide what my sale price should be? I want to make sure people know my house is for sale. What do I do? My friend told me I should give my buyers some background knowledge about my house. What do they mean? 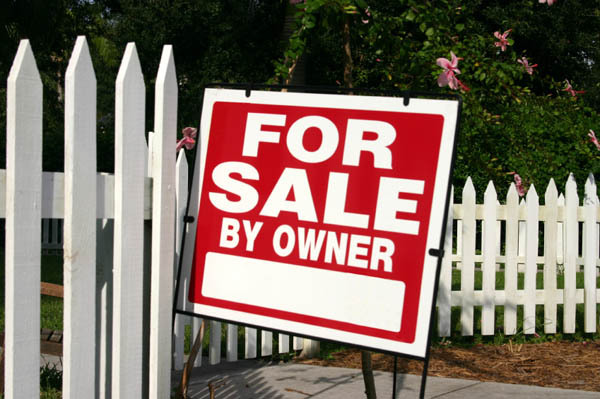 What can a lawyer do for me when I’m selling my house myself? I’ve got an interested buyer. What do I do now? What are my legal obligations as a seller? How do you know how much your home is worth and what you can expect to get? Naturally realtors will shoot high because they want your business and what better way to secure it than by promising you you'll make a million. A private valuer might present a more realistic picture taking into account any improvements you've made. For a fee, Quotable Value here also offers comprehensive reports which include estimated values, an estimated selling range as well as sales history and information on land versus capital value. For buyers there's also some good information here on the socio-economic demographic of the neighbourhood you're buying into. Westpac also introduced a new tool recently called Home Club which makes it easier to price shop and compare by neighbhorhood. One of the cheapest ways to market your home with the largest reach is probably Trade Me which charges $299 until the home is sold. Although there are many marketing professionals selling their services you can effectively do the same if you have access to the Internet, a digital camera and a local copying shop that does signs and brochures. If you can a fix price in your mind ahead of time, then it'll be easier when it comes time to negotiations. Just don't settle for anything less than your bare minimum. A copy of a sales and purchase agreement can be obtained (for a price) through the Auckland District Law Society which also supplies forms for realtors. The name(s) of the seller(s) and buyer(s). The type of title (freehold, leasehold etc.). The rate of interest that the buyer must pay on any overdue payments. Any deposit that the buyer must pay. Any conditions the buyer wants fulfilled before the contract is agreed. Have your sales and purchase agreement reviewed by a lawyer before you sign off on it to ensure you haven't missed anything. That's particularly the case if there are conditions on the sale, if the buyer is planning on using some of their KiwiSaver money as a deposit, or there are other unusual financing arrangements in play. Lastly, if the DIY thing just isn't your cup of tea, or else you fear you'll cost yourself in the long-run not having used a realtor who can bid up the price, you'll want to hedge your bets. You can still employ a realtor and try to DIY provided you have a "general agreement' in place as opposed to a "sole agency or exclusive agreement." Consumers Affairs explains the ins and outs on agency agreements here. Do you have a private home sale experience (good or bad) you'd like to share? We welcome your comments below. If it's going to help bring the comms, agent like that would likely be doing same thing in reverse when describing you to vendors. I sold my last house myself - I used "Homesell" for the marketing (they did the fancy photography, the sign, the TradeMe advert etc...) which was around $500 by memory. Bargain, when a couple of Real Estate agents were talking about charging me a couple of grand upfront for marketing, on top of their commission. The whole process was a piece of cake and I saved myself around $30,000. I would never use a real estate agent again, at least not in NZ. I did an open-home, we had around 60 people come through on the first weekend. I had advertised it at "offers over $500K" and got 4 offers over that on the Monday after the first open-home. I called them all up, said that they were one of 4 very close bids and that they had 24 hours to make their final, best offer. One of these final offers came in on Tuesday that was head and shoulders above the rest, so I took it. Took 4 days! No mucking about with auctions etc.... it was easy. Honestly, if you're thinking of selling your house yourself - go for it. You'll be shocked at how easy it is. Don't bother advertising anywhere else other than TradeMe - 99% of people who attended the open-home came from TradeMe, there were also a couple of people who saw the sign out front and dropped in out of curiosity. You are most welcome Amanda! Another interesting point - three separate Real Estate agents had come in and told me that there was no way I'd get more than $480K - I should be anticipating around the $450K mark. That didn't feel right to me, so I ignored them. I ended up getting $550K - as I say, it was also an extremely rapid sale so chances are I could have got more if I'd held out for a while. I got the distinct impression that they were after a very quick sale so they could grab the commission and run. Not what I had expected at all. I would suggest that selling privately is fraught with pitfalls. In a hot market it may be worthwhile but try selling privately in a buyers market. No I'm not a real estate agent but am a property professional. You forgot to mention Home Staging. Move all your furniture out and replace them with crisp clean ones - remember to balance the colours to suit the different rooms and ensure sizes of the furniture actually match the room sizes!! Also it is very important to display fresh cut flowers (peonies/roses/lillies recommended at this time), let them dotted around the hallway, kitchen and living areas - this will make it a whole lot easier to impress the potential buyers (especially women). Listen, once they fall hopelessly in love with your home the emotional factor kicks in, and you may end up with multiple offers. Please; if you are selling, make sure all your consents are in place. An agent should bring this up but some don't. Are all buildings, pools, additions etc. consented and built as per the plans held by council? Are you compliant with resource issues - impermiable surface% etc. You can access your property file at the council for free, check it thoroughly for anything above and also the district plan for your area. You may also like to have your boundaries checked - certainly if you have any doubts whatsoever. Many deals fall over due to non compliance, in many cases Banks won't lend and you can have problems obtaining insurance so a prospective buyer simply can't proceed even though they love the place and have made you a good offer. It can be a real heartbreaker to find out, after all the effort in getting the place attractive, all the marketing and disruption that the sale can't proceed or, worse, it does and you face legal action over non compliance or non disclosure. I accept that self selling can be effective. But also it can be an estates agents job to drag two very unwilling parties together to make a deal. Manipulation and hard talk included. Sometimes you need somebody to do that and you can't do it yourself. The last time I bought a house there ended up being 13 different signatures and proposals on the agreement before a deal came together. The agent did serious shuttle diplomacy for about a week (13 trips) and certainly earned her money. Thanks for this article Amanda... I shall out myself as the poor reader who was sold the 'mass murder' house. It was an extremely sobering experience that demonstrated the level an agent would go to get a watertight deal. We ended up re-selling after a very painful 4 months living in a house that we hated. We felt like we were offending tapu by living in it. I instructed my agent (couldn't face selling it myself) to tell all buyers who wanted to go to paper about the history. We were lucky, Sydney was booming at the time (house is in Canberra) and the market was rocketing. After three days on the market we had 11 buyers keen to go to contract, all pulled out after hearing the history. After six days we another five, but all backed away, after nine days we had another three, one backed out, two remained. They battled and we ended up making a profit. We then moved back to New Zealand! Since then I have sold five houses, the first three with agents and two by myself, I can categorically say I will never use an agent again. The industry is so capitalistically broken that they cannot and will not work for anyone but themselves. My advice is sell privately, buy privately. Invest your money in the real service economy that surrounds real estate - being the professions of accountancy and legal. My lawyer brokers my real estate deals, she is without a doubt the best broker of real estate I have ever encountered, she actually works for me, on an hourly rate! In fact the last house we bought I refused to use the selling agent for anything except viewings - my lawyer draw up the sale and purchase and sent to the agent with an instruction to present to the seller. Worked a treat! Thank you Andrew, for providing the inspiration.